Coral Gables is a beautiful and historic city that is located in Miami-Dade County. This is a community that is well known for being pedestrian friendly. Those who love strolling down the street and taking in the beauty will have no problems here. 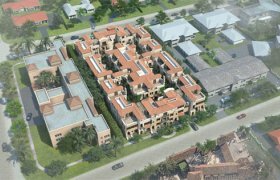 Buying one of the many Coral Gables condos for sale means that you will be able to dine at many of the 100+ restaurants in the area. Foodies everywhere can rejoice at the idea of so many culinary options being available. Those who are not fond of walking can take advantage of the transportation options in the area, which includes a free trolley that runs down the center of town. If you have children that are still in school, there are several education options available for them. The city is also home to the University of Miami, which is one of the highest rated schools in the entire country. For the convenience of students and any other scholars in the area, there is a public library that houses an extensive collection. This is a very safe community, which makes it the perfect place for families. It is also ideal for singles that want to live in a distinguished community without worry. 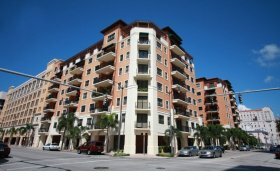 There are many Coral Gables condos for sale or rent because the community is becoming more popular with each passing day. Attractions like the Montgomery Botanical Center, Lowe Art Museum, and Matheson Hammock Park make this place seem like a little slice of paradise. The architecture in the area makes many of the homes there prized and highly sought after. Most of the architectural styles in the area are Mediterranean Revival. 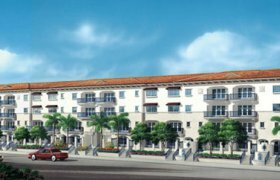 If you choose a Coral Gables condo that is located in the downtown area, you will be able to get to all of the shops and other important locations after walking a few minutes. If you are further from downtown, it will not take you very long to get there via a short drive. People who have an interest in the arts can watch shows at the Actors Playhouse at the Miracle Theatre or head to the Florida Philharmonic Orchestra. If sports are more your speed, you can satiate your craving by watching a game at The BankUnited Center. 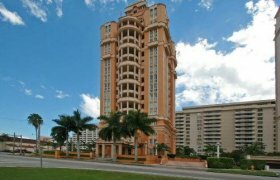 There are so many things to do that no one will never regret acquiring their Coral Gables condos. This is a quiet community that is ideal for those who are all about relaxation and tranquility. You will never have to be concerned about it being too wild once you buy your condominium and head outside to enjoy the view. There are older and younger people who adore the atmosphere in this city, so there is no reason that you should have trouble trying to acclimate yourself. 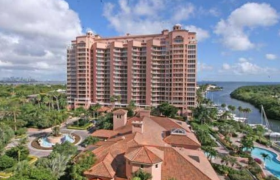 If you don't consider this area when you are looking to buy or rent a condominium, you will be overlooking what may be your dream home location.